Wildman Manufacturing is a top of the line precision CNC machine shop. Since 1946, we have been providing quality service to the oil, construction, industrial, pipeline and chemical industries. We can machine a vast array of materials such as carbon steel, alloy, stainless steel, nickel alloy, aluminum, brass, copper and even several materials not in the metal families including plastics. We have state-of-the art equipment and guarantee quality workmanship plus on-time delivery. Wildman Manufacturing is a complete job shop that can provide turnkey parts from start to finish. Together with our partners and suppliers we can complete small production lots to large blanket orders with utmost quality and precision. We can also handle welding and small fabrication jobs as well. Wildman Manufacturing's line of reusable hose couplings enhance productivity with their durable, corrosion resistant, convenient and easy to deploy slim profiles. Our couplings are designed to minimize operator fatigue, save installation time and effort, and preventing accidental disconnection and snagging. 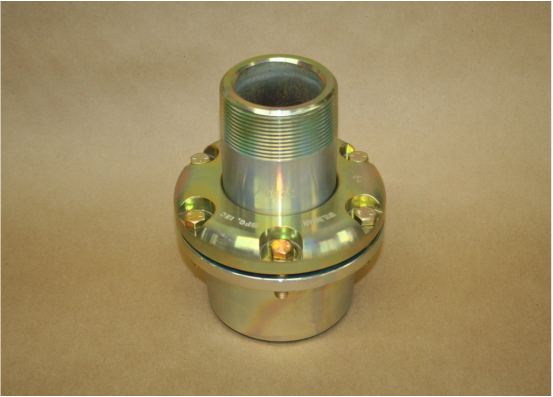 Our couplings are the ideal solution for any demanding industrial application. Quality Assurance: Every Wildman coupling is inspected to ensure that each one meets our guarantee of delivering the highest performance durability. Corrosion Resistant: All couplings are internally and externally zinc plated to offer excellent corrosion protection. We also offer stainless steel stems for even greater protection against corrosion.